Hvide Sande – and the area around Ringkøbing Fjord in general – has been known for decades as one of the prime windsurfing destinations of Northern Europe. Many windsurfers have made their first starts on the low, flat waters by Bork, Hvide Sande North or Hvide Sande South. And many of them still regularly come back with their own kids. Today, Hvide Sande is also known as a prime spot for kitesurfing, paddling, kayaking, SUP, waterskiing and cable wakeboard. With the North Sea waves on the West side, and the lower waters of the fjord you can ride, paddle or surf no matter the weather, all year round. Hvide Sande has around 3500 inhabitants. During the high season in July and August that number can easily be more than 20 times as high, as loads of tourists visit the area. 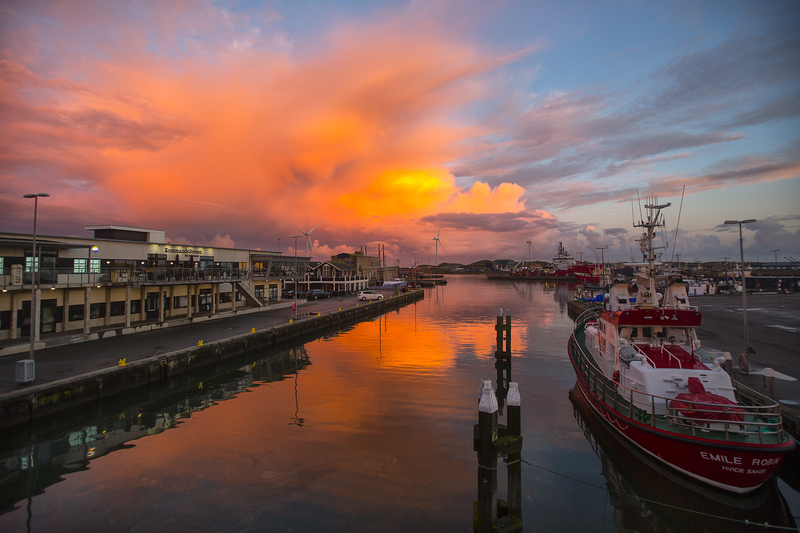 Though tourism is still more important, Hvide Sande is widely known for the fishing harbor. The city holds an active fishing fleet and many companies related to the fishing industry – among others 2 shipyards. Given the location at the North Sea Coast the nature around Hvide Sande is spectacular. A walk or a run on the wide beach is a must and during summer beach life in general doesn’t get much better. Angling is another great way to explore the nature around Ringkøbing Fjord. Or you can book a boat tour, rent a bike or go horse riding.